Please enter the personalization desired. Letters, numbers, and a "heart" symbol are available. One of our BEST SELLERS! 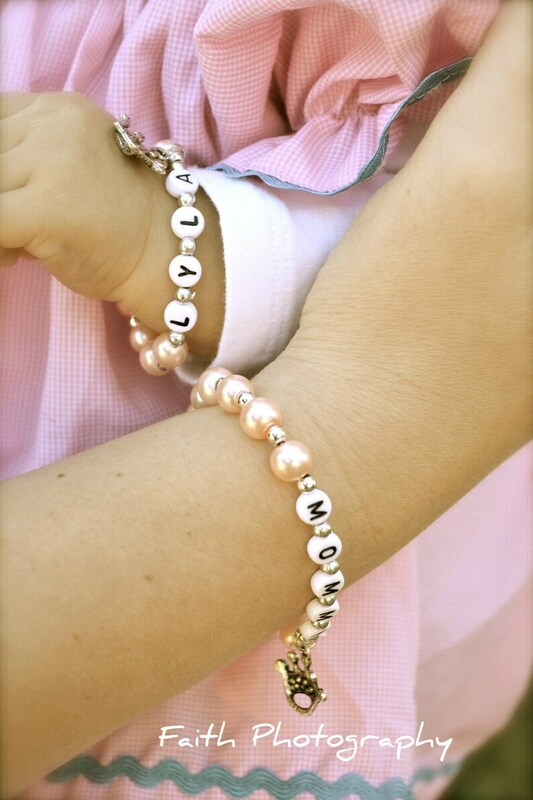 - Mother Daughter Set of Personalized Name Bracelets. 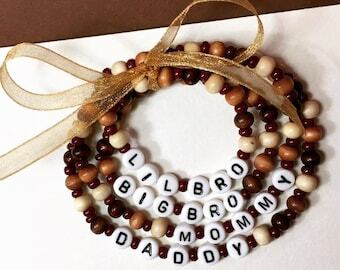 Makes a great Mother's Day Gift, Baby Shower Gift, Mommy & Me, or Back to School gift. A beautiful matching bracelet set for Mother and Daughter to share. You choose the pearl color, charm, and personalization. You can also opt for no personalization. Both bracelets are made on durable stretch cord. Charms: Please choose from picture 9. ORDER INFO: Please include the following info for the quickest turn around time on your order. So Cute! A light weight, strong, stretchy bracelet for you & your child. Accented with beads. Bead color or dye lot may vary slightly from the ones shown. If you want more than on set of bracelets personalized please purchase one item for each set desired. You will automatically receive a shipping discount as long as you checkout and pay all at once. Got the bracelets quickly, it was a huge hit with my 4 year old! She kept it on better than any other jewelry I’ve ever gotten her, and now she won’t leave the house without her special bracelet!